Charleston’s International African American Museum is getting a big boost that just might push it over the finish line. Sheila Johnson, CEO of Salamander Hotels & Resorts and owner of three professional sports teams, has agreed to join the museum’s board of directors. 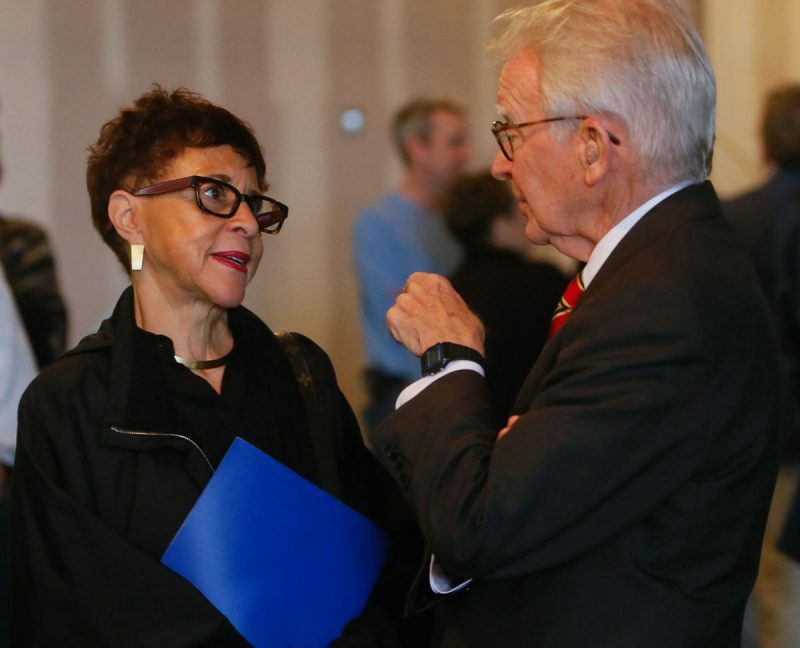 “Mayor Joe Riley has twisted my arm … so we’re on a journey to get this museum built,” Johnson announced Thursday at an event for the upcoming Hotel Bennett near Marion Square, which her company will manage. Riley was Charleston’s mayor for 40 years and first announced the idea of the waterfront museum in 2000. He said he’s confident that Johnson will provide the energy to raise the final $19 million to start construction early next year. The museum is scheduled to open by the end of 2019. Johnson’s Monumental Sports & Entertainment owns the NBA’s Washington Wizards, the NHL’s Washington Capitals, and the WNBA’s Washington Mystics, as well as Verizon Center in Washington, D.C. She and ex-husband Robert Johnson founded Black Entertainment Television. Other recent additions to the board include Evie Colbert, a native Charlestonian and wife of comedian Stephen Colbert, and Marva Smalls, a Florence native and executive vice president and chief of staff at Viacom. Current Mayor John Tecklenburg also is on the board. The board is scheduled to vote on Johnson’s membership and give a progress update Wednesday. The board reported last summer that $31 million in additional donations were needed for the $75 million project. The $19 million in private donations is in addition to money promised by the city, county and state. The museum will be built on the spot by the Maritime Center where slaves entered Charleston. Previous post Dylann Roof Has Been Sentenced To Death. Now What? Next post How Can We Make Kwanzaa Lit?